Doing a good job is what is expected at work, whether you are the boss or the newest employee. There are, however, other considerations that can make your workday experience either more pleasurable or a misery that you are happy to get away from each afternoon. 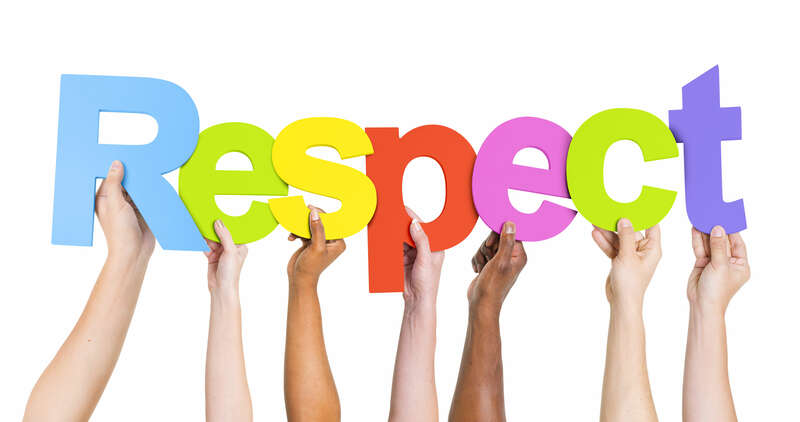 Having the respect of people that you come in contact with throughout the day is one of those things. Dressing neatly and appropriately, with a smile and a confident, helpful attitude is probably the best and quickest way to achieve the respect and admiration of your clients and fellow employees. Remembering the names of those you meet is an important skill, and one that people will notice and appreciate about you. Silently repeating a name to yourself several times is usually enough to place it firmly in your memory. Being able to assess a difficult situation, remain calm and move ahead when everyone else is standing around waiting for direction will always garner the respect of those working with you and is a quality worth acquiring and practicing throughout your life. You don’t have to let yourself be pushed around, but being willing to sacrifice a little here or there, to see that things get done and the office runs smoothly, will show that you are a team player and that you consider the importance of others, that you are someone willing to give credit where it is due. Try not to make promises that you might not be able to keep and don’t plan on boosting yourself up by belittling the efforts of others. Also, just be yourself, because it is difficult to trust or respect someone when you can’t figure out who that person really is. We all want to be thought well of, and earning the respect of those people who are important in our daily work provides meaning and depth that will enrich all aspects of our lives and for which there is no replacement.